Piacere - Food & Travel without rules! 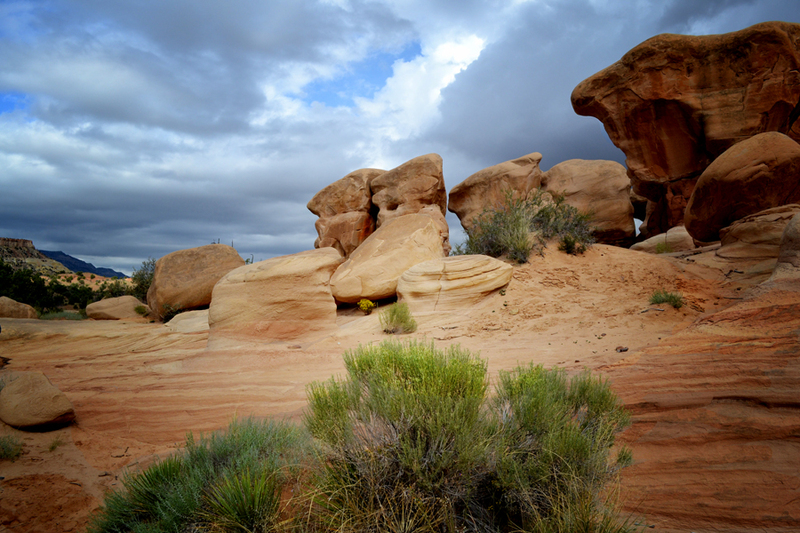 Devils Garden is about 17 miles southeast of Escalante, Utah. 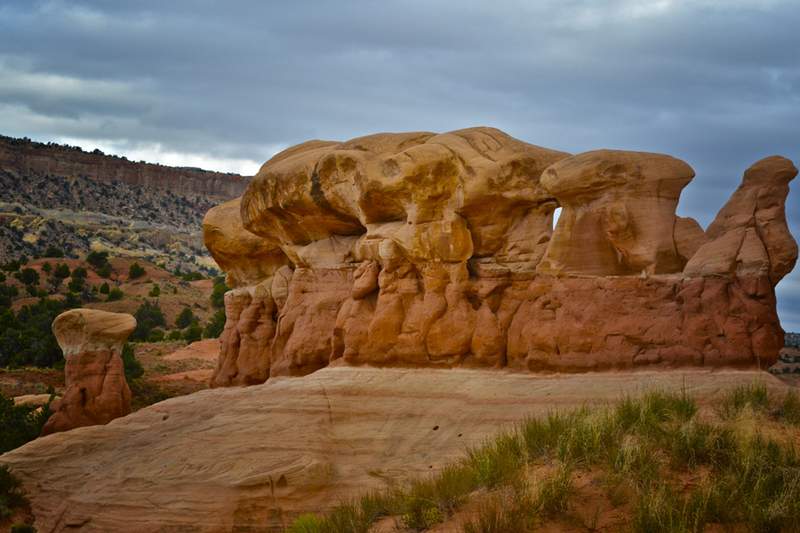 Formations of sandstone worn down by the ages are called hoodoos. They create an unreal landscape in tones of red and terra cotta surrounded by white cliffs. We stayed at a bed and breakfast in the small town of Escalante that was very nice and well-appointed. The owner provided us with hand drawn maps and suggestions of where to go, what time to be there and what we would see. We may have missed this wondrous sight if it were not for him. Driving to Devils Garden in itself is an experience. The road winds down steep cliffs with hairpin turns without guard rail protection down to flat plains. Having lived in Switzerland for a long time, you might think I would be use to traveling on roads like this, but I was holding my breath all the way. This entry was posted in Uncategorized on May 3, 2013 by Fiboni. The Shocking Dragon Pink Millipede: Don’t Mess With This One! Mother Nature has lots to offer from her pristine treasures, while most of them are pretty divine creatures; others are just the contrary. This entry was posted in Uncategorized on May 1, 2013 by Fiboni.